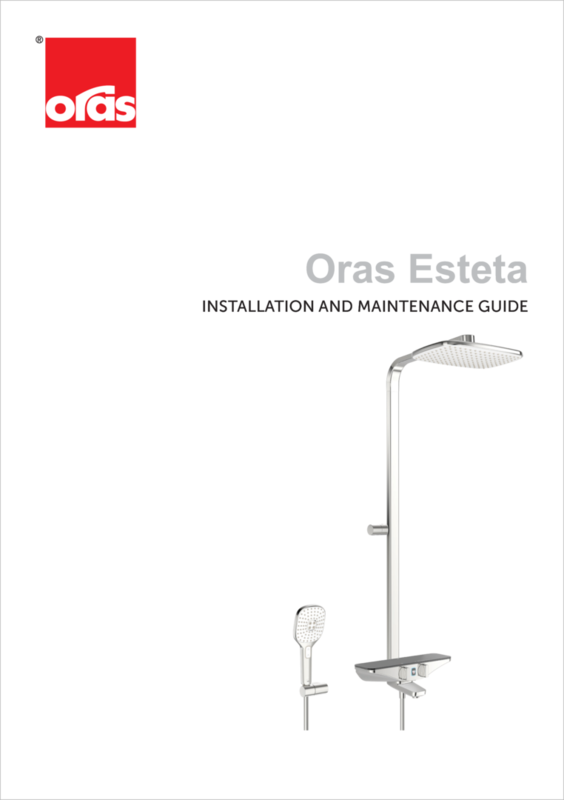 Thermostatic bath and shower faucet with easy-to-use control handles. Temperature limiter in the handle. Spacious shelf made of safety glass. The faucet is equipped with straight couplings with stop valves, litter filters and non-return valves.